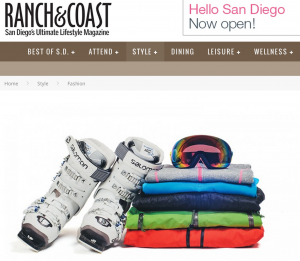 Congratulations to our Client GetOutfitted for their feature in Ranch & Coast Magazine! Does your ski gear look like a throwback from the 1980s? Rent the latest styles from GetOutfitted, a Web service that delivers to your door or your resortâ€™s front desk. Intimidated by the high cost of gear, Julian Flores founded the company to offer a more affordable option. Browse the site for such top brands as Burton, Dakine, North Face, Patagonia, and Obermeyer. Then cherry-pick pieces or rent a complete package that includes parkas and pants, goggles and gloves, sized for both kids and adults. When you leave the slopes, thereâ€™s no need to schlepp it all home. Pop it into a prepaid shipping mailer â€” and drop it off at the front desk. Check them out at getoutfitted.com!